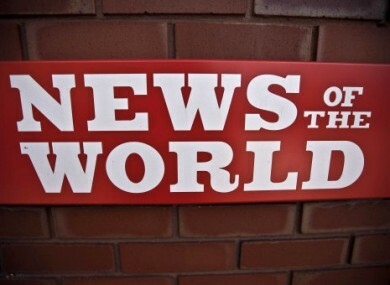 A FORMER NEWS of the World entertainment journalist, who was the first person to blow the whistle on phone hacking at the newspaper, has been found dead. Sean Hoare was discovered at his Hertfordshire home after concerns were raised about his whereabouts, RTÉ reports. Local police said that his death is being treated as “unexplained, but not thought to be suspicious”. Hoare was the first reporter to go public with phone-hacking allegations against the newspaper – telling the New York Times that Andy Coulson was aware of the practice and had actively encouraged journalists to hack phones. I want to right a wrong, lift the lid on it, the whole culture. I know, we all know, that the hacking and other stuff is endemic. Because there is so much intimidation. In the newsroom, you have people being fired, breaking down in tears, hitting the bottle. Police investigations into Hoare’s death are ongoing. Email “Phone hacking whistleblower found dead ”. Feedback on “Phone hacking whistleblower found dead ”.